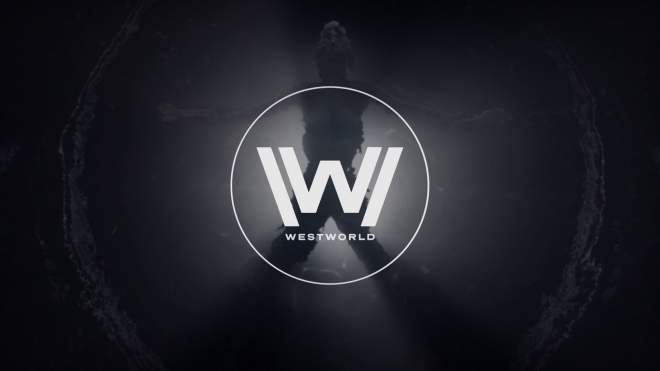 Coming off the high of a near-perfect first season, Westworld decides to get weird for their sophomore season titled The Door. Obviously, one would expect some twists and turns to this already pretzeled plot, but for some folks out there, having multiple interchanging timelines, often featuring the same character appearing both past and present, the showrunners may be too cryptic and clever for their own good. It's still an engrossing, beautifully-executed show, but The Door is a notable step down in storyline quality from The Maze. Let's hope Season Three can correct course and bring this beast home. 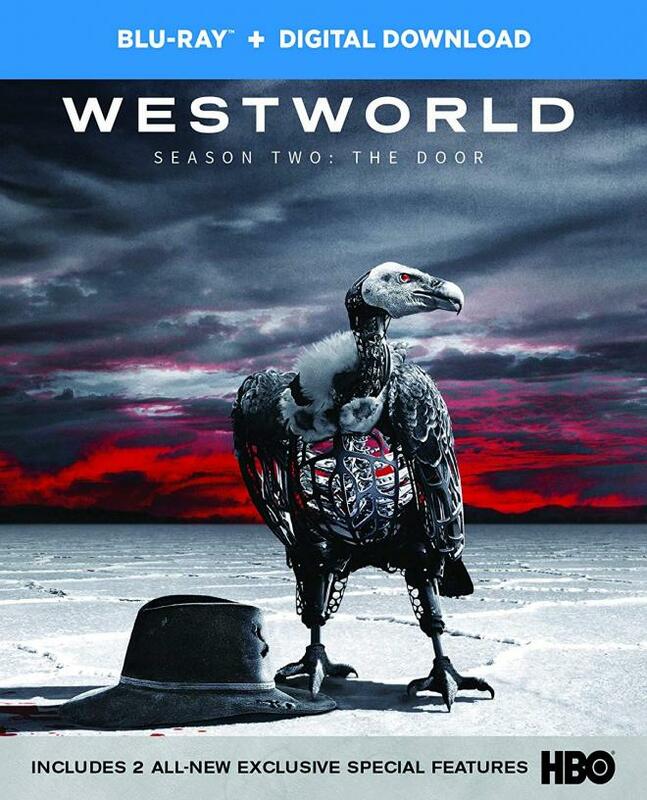 Warner Bros. delivers Westworld: Season Two - The Door to Blu-ray in fine form with a solid transfer with strong DTS-HD MA 5.1 audio mix packed with a few worthwhile bonus features. I know this one put off a lot of fans but it's well worth a shot. Worth A Look. Special Features: NEW Paved with the Best Intentions: The Evolution of the DELOS Corp. The dinosaurs have escaped the park and are killing the guests… wait no that's a different movie. HBO's reinterpretation of Michael Crichton's western/sci-fi hybrid charts a tangled trail in its second season The Door. The episode opens with behavioral genius Bernard (Jeffrey Wright) attempting to understand and remember the horrific events that lead to the hosts going off their programming and killing the guests. Meanwhile, Dolores (Evan Rachel Wood) exacts brutal revenge on the guests while attempting to piece together parts of her various lives with Teddy (James Marsden) as they seek the seemingly mythical destination of the Great Valley Beyond with The Man in Black (Ed Harris) reveling in the new chaos. 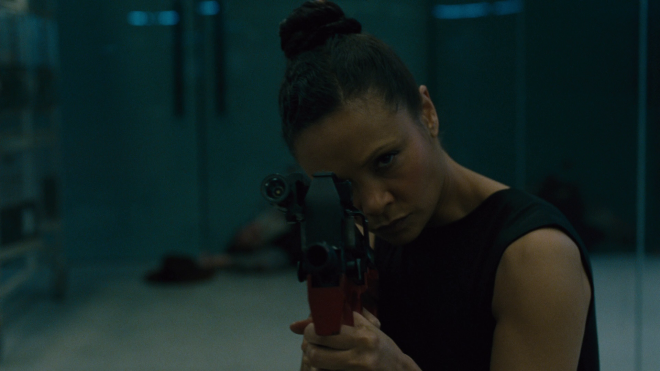 Within the Delos labs, Maeve (Thandie Newton) and Hector (Rodrigo Santoro) try to find Maeve's lost "daughter" and discover that their world may not be the only one. The first time I watched through The Door it didn't bother me, I felt like I found the groove of where things were going and who was where and when by the end of the first episode. After the season ended I felt satisfied, if maybe a little let down as it wasn't as exciting as I'd hoped, but was still eager to see what was next for Season Three. After watching this season for a second time I still think the storylines work, but the clunky convoluted method for unraveling the knotted plot bothered me more this time. I'd already gone behind the curtain and saw how the magician's trick worked. Seeing the show again knowing where it was going and how it got there left notably diminished returns. Looking ahead to Season Three - which apparently won't debut until 2020 - I hope the writers and showrunners make ample use of that time and sort out a clearer course forward. If they keep up with this tangled web structure with some more groan-worthy plot tricks with hosts dying and regenerating themselves multiple times - and in different bodies - Westworld risks drifting precariously close to the messy plotting that spoiled the later seasons of Lost. I don't want that for Westworld. As things stand Westworld features one practically flawless first season with a clunky but still functional second season. It works. The story has a flow to it, but it's got a lot of gobbledygook stuffed in it to make things unnecessarily confusing just to appear clever. If you didn't make it through, give it another try, it does sort itself out - it just takes some time to get there. Westworld: Season Two - The Door arrives on Blu-ray courtesy of Warner Bros in a three-disc + Digital set. Pressed onto three Region-Free BD-50 discs, the discs are housed in a standard three-disc case with identical slipcover artwork. The discs load to animated main menus with traditional navigation options. All of the bonus features are housed on Disc Three. Westworld: Season Two - The Door creates a pleasant vista for itself with this 1.78:1 1080p transfer. Just as stylized as the previous season switching between hardened futuristic laboratories and rustic old west locations, the series is bright, bold, colorful and very well detailed. Fine facial features come through with great clarity while clothing details shine - especially as the show moves from the old west to "other worlds." It doesn't take much to appreciate the amount of work that goes into the appearance of each episode. Colors are bright and bold with some damn impressive primaries and healthy flesh tones. Similar to the previous season, black levels are a bit brighter in 2018p compared to its 4K UHD counterpart. These differences are really only notable in the lab settings reliant on lower light levels. You're not seeing too much more with the brighter, hazier black levels in these scenes and depth can feel a bit flat in places looking like some sequences were shot in front of a green screen with an out of focus background tacked in. 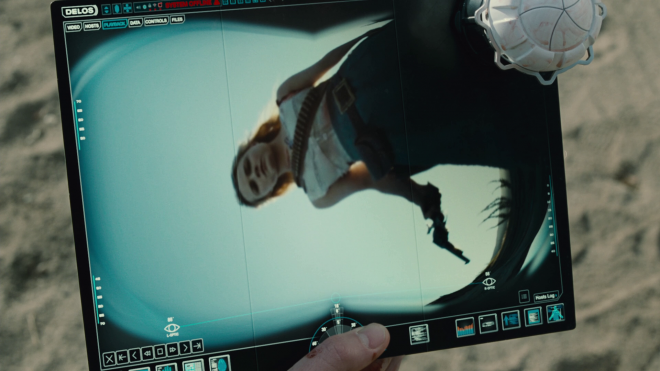 Westworld remains a damn beautiful show and this Blu-ray transfer gives the image a lot of life. 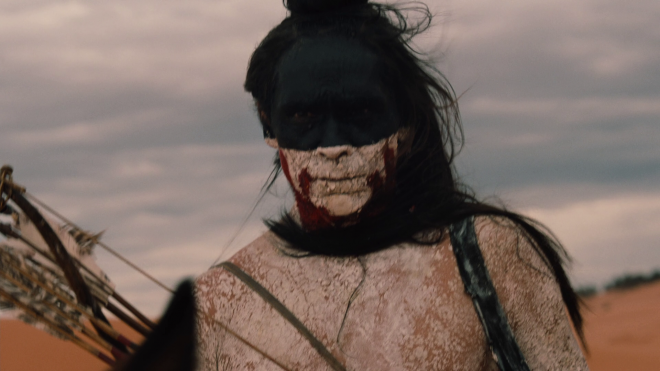 Westworld: Season Two - The Door isn't treated equally on Blu-ray as it's 4K UHD host counterpart forging the impressive and immersive Atmos track for a restrained-but-still-very-good DTS-HD MA 5.1 audio mix for each episode. In truth, this mix is perfectly acceptable. Had Atmos not been available on 4K UHD, I'd have been fine with this mix. However, after watching through with Atmos, yeah, that extra channel activity and spacing are missed. The DTS 5.1 tracks hold their own, but they miss the subtleties in object placement. Surrounds are active and present, you're not missing any sound effects, they're just much more bluntly applied where the Atmos enjoyed some more nuance. Dialogue remains crystal clear. The sound effects are well spaced giving this mix a nice sense of dimension - in particular scenes inside the Delos labs. The Ramin Djawadi score has plenty of kick to it and punches up the low tones nicely. All around these episodes enjoy fine audio tracks but obviously lack the same punch as their 4K UHD clone hosts. Depending on who you ask, Westworld: Season Two - The Door was either a bold continuation of a terrific show or an epic confusing fail. I enjoyed it myself the first time through, but my second viewing made its clunky storytelling shortfalls all the more obvious. You can chalk me up as a defender but I hope the showrunners have a clear plan forward for when the show returns in 2020. Warner Bros. brings Westworld: Season Two - The Door to Blu-ray in fine order with a solid video transfer, an excellent audio mix, and an okay if anemic bonus features package. While Fans will surely want to pick up this season, those unsure or less impressed may want to wait and see what Season Three has to offer. 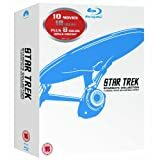 Also, with improved video and audio presentations, the 4K Ultra HD Blu-ray release represents a better overall value, as it also includes everything from this set. Ultimately, Westworld Season 2 on Blu-ray is Worth A Look.